To be considered to be the best, one has to put in the finest of all ingredients. Just like pursuing our aspirations to be the best in our chosen field after our studies, we chose to do The NANYANG MBA, considered to be one of the World’s Top MBA programmes. The same goes for Tiger Beer, which has come a long way since 1932. “A lot goes into every bottle of Tiger. The finest malt, hops and yeast. Taste-testing over 10 samples of quality of water everyday. Over 200 quality checks. All part of a strict brewing process that takes over 500 hours.” This Singapore concoction has gone a long way – it has garnered over 40 international awards, winning drinkers in major cities all over the world. So how do they do that? And that is what we Nanyang MBA students found out in our visit to its headquarters in Singapore. Organized by the Wine, Liqueur and Beer Appreciation Club, the trip to the Asia Pacific Breweries (APB), maker of Tiger Beer, we (10 Nanyang MBA students) were warmly welcomed by APB staff and were introduced to the brewing process through an enjoyable multi-media presentation. Afterwards, we got to know the different ‘fine’ ingredients needed to make this award winning beer. After a short confidential advice to protect APB’s unique ‘art of brewing’, we entered the ‘sacred halls’ of the brewery. Inside, club members saw the highly sophisticated and automated process and the enormous polished kettles and pipe works. Even more impressing was the bottling/packaging plant. Though we may have some initial idea on how the preparations are done, but to see the actual process is simply amazing. 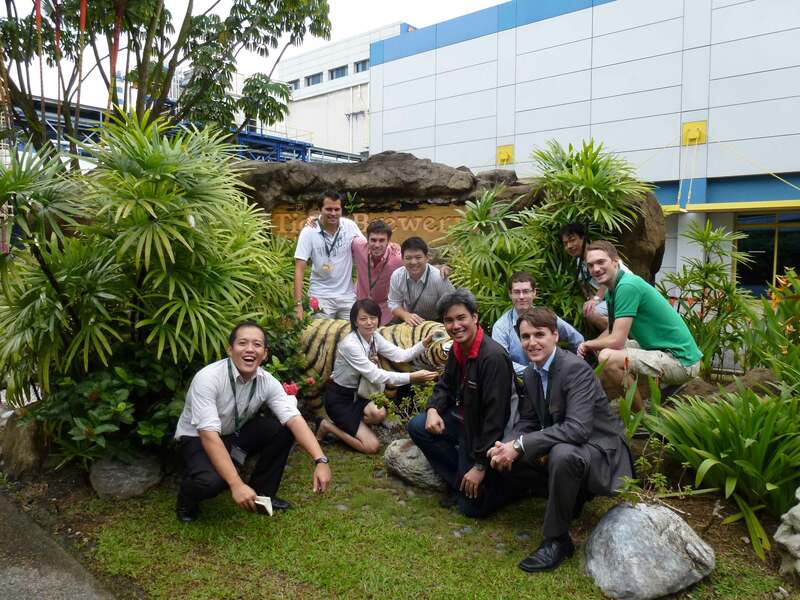 And our ‘not-so-formal’ photo with the Tiger! It was very engaging trip filled with new learning we obtained outside MBA classrooms. Appreciating the art of brewing within the context of Tiger Beer – sourcing the finest ingredients around the world brewed with Asian passion and dedication. 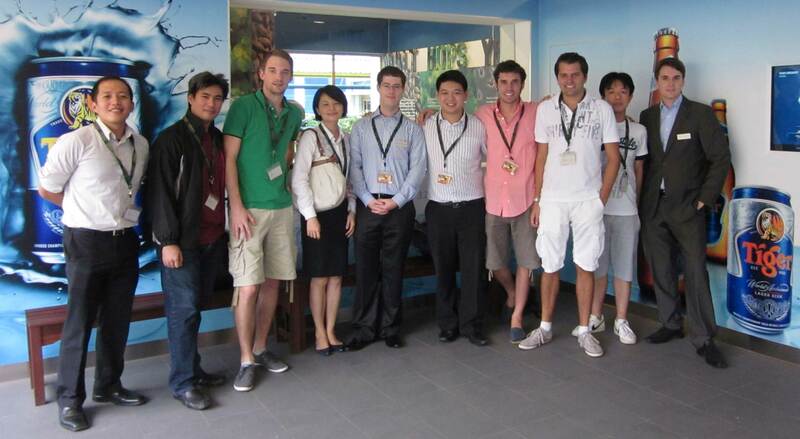 Just like us – Nanyang MBAs – finest individuals all over the world, pursuing a top notch global MBA with a focus on Asia. Like Tiger Beer, we are ready to make waves around the world.